So you're impressed with the speed rush that you get from metal and you want to expand your prog horizons into some accelerated jazz rock-fusion but The Mahavishnu Orchestra was a little too "out there" for your taste. Well, don't despair for this is probably what you're looking for. Four of the best virtuosos ever working as one unit, creating well-crafted instrumental songs with definite melodies, comprehensible structures and lots of ear candy. The album starts with bassist Stanley Clarke's fabulous "Vulcan Worlds." If I were to pick a single tune to introduce a neophyte to the genre, this would be it because it has everything that's great about jazz rock-fusion. Including a great build-up and climax. It sizzles. 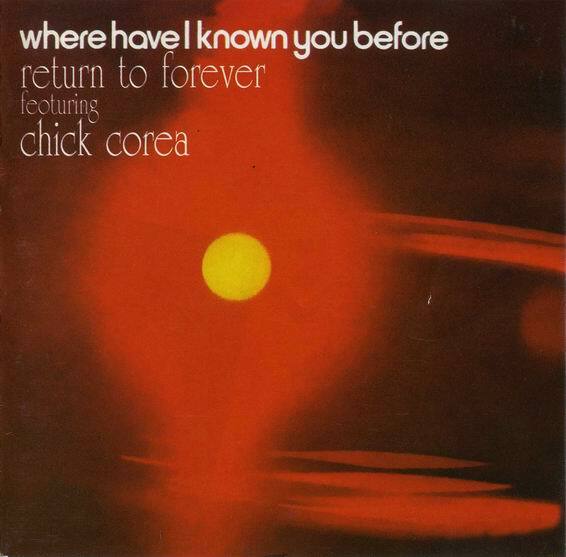 One of the distinguishing things about this particular record is that Chick Corea has interspersed some short, soothing piano interludes between cuts based on the title of the album. "Where have I Loved, Danced With and Known You Before," all give the proceedings the feeling that there is a strong spiritual concept behind it all. (The LP included a metaphysical poem by Neville Potter printed on the back of the cover.) Drummer extraordinaire Lenny White contributes his top-notch "The Shadow of Lo" that begins with a lone Rhodes piano before everyone drops into a nice, flowing feel underneath an infectious melody. Soon they take the tempo up a notch and delve into a great funky rhythm that will put a smile on your face before it's over. It's my favorite song on the album. Corea's "Beyond the Seventh Galaxy" is a spirited, rocking tune where the band "speaks" in brief musical sentences and it's like a virtual whirlwind of notes flying in formation around your head. Short but very sweet. "Earth Juice," composed by the band as a whole, features a rolling (dare I say disco?) beat that drives non-stop all the way through. You might be tempted to get up and show off a few dance moves on this one! "Song to the Pharaoh Kings" has a substantial "Egyptian" flavor instigated by the coy synthesizer melody that segues into a quick but not frantic pace. It's a showcase piece where everyone gets to shine, starting with White who literally flies over the drumheads followed by Clarke who demonstrates his unique approach to playing bass guitar. But this is more than just blatant showboating because it never gets predictable or tiring. The tune evolves into a new melody halfway through and Al DiMeola gets his moment in the sun with a fantastic guitar solo. Corea then takes over with the Rhodes piano and the synthesizer fiercely battling it out all the way to the dramatic end. There are no fade-outs here. Every song has a clearly defined beginning and conclusion and that's very refreshing. While I realize that jazz rock-fusion is not for everybody, I feel that if most proggers do a little investigation they can enhance and widen their knowledge and awareness in this realm of music with rewarding results. I can think of no better place to start than with this group and this excellent album.